7 sleeps till CHRISTMAS! This is too exciting! I fell in love with this Faux fur from Select, as it doesn't spell tacky! I hate the furs that really look their price, and you always have to bare this in mind when shopping. The pattern is subtly, which means I can pair it up with a number of different outfits - I mean who every thought velvet AND furs? 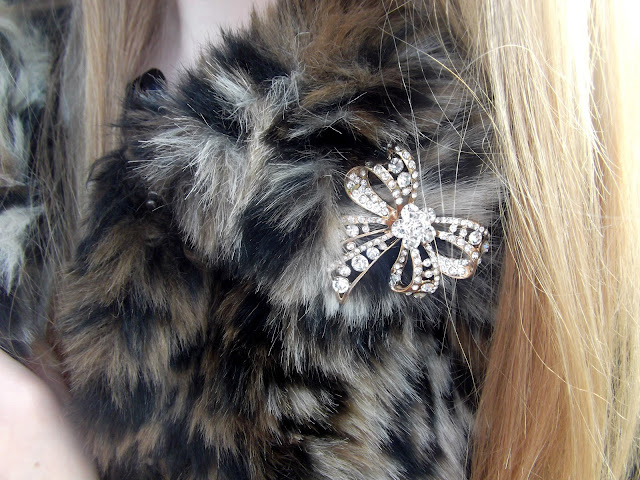 The pin attached is courtesy of Primark, and just adds the final touches to the coat. I already went one step further, to buy myself a large furs, but on this particular fur, the three quarter sleeves and cropped jacket, make it great on a night out, as it's not to heavy to carry! 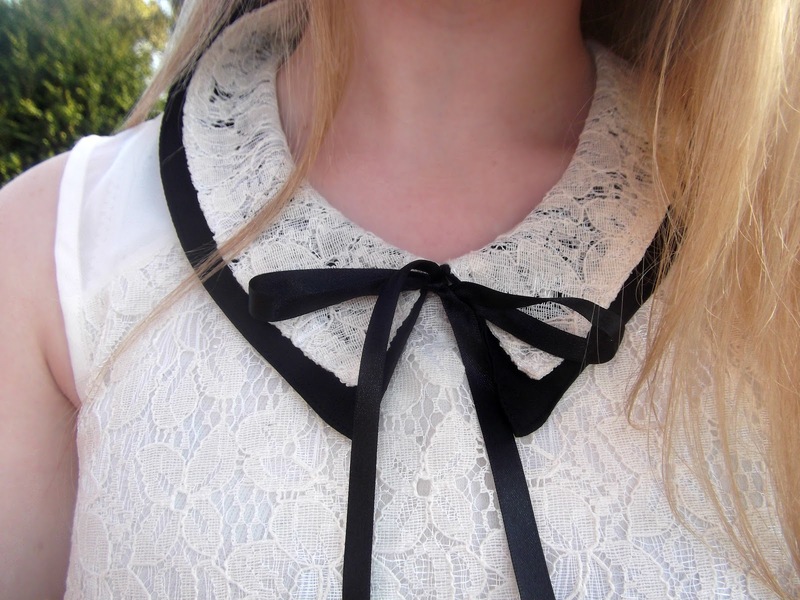 I loved the lace detail on this Primark top. It was initially one of my shirts for sixth form, but it was so cute I've just been wearing it every weekend instead! The velvet shorts are now my no.1 wardrobe item. I just love the vintage style buttons, and they fit lovely - unlike many of the Top Shop shorts, which are always too big or too small! When accessorising an outfit like this - always go simple. 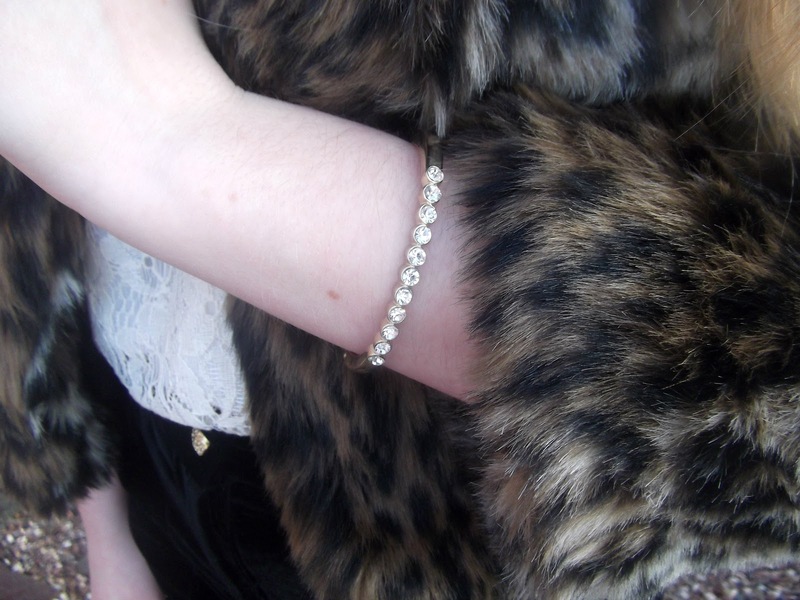 I've added a broach to my jacket, and a delicate vintage bracelet, that I 'borrowed' from my grandma! 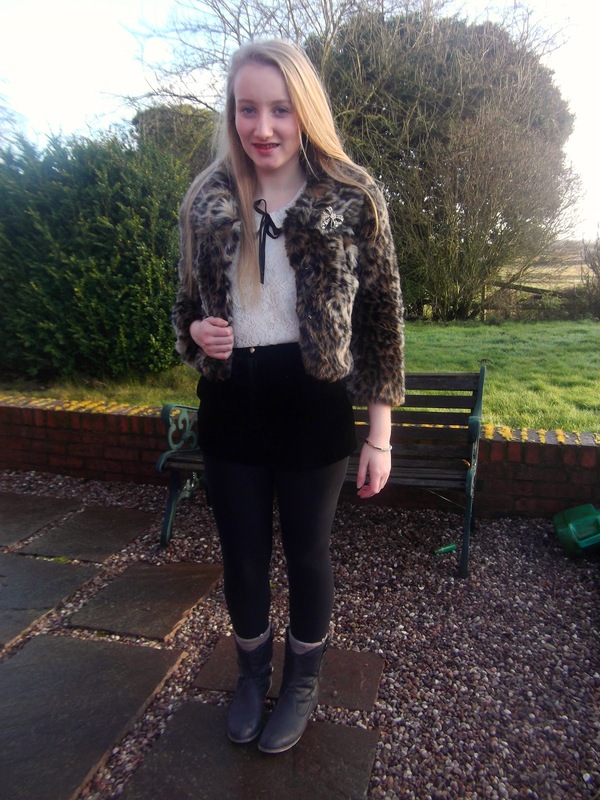 What Blondies Wearing: Top - Primark, Faux Fur Jacket - Select, Shorts - Top Shop, Shoes - Matalan, Bracelet - Vintage. 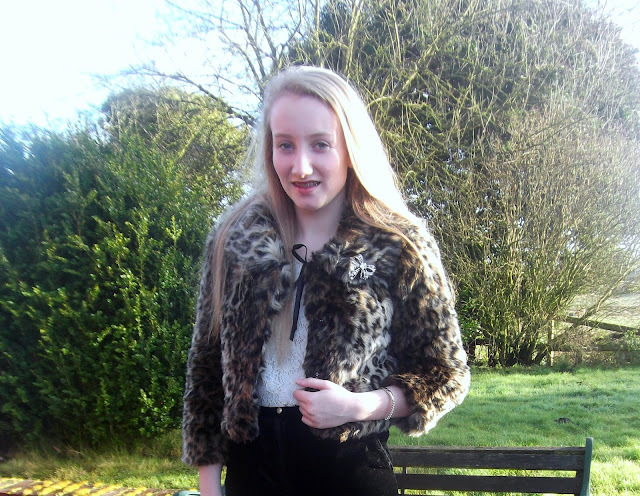 Have you been wearing your Faux Fur's yet? - If so let me know! That is such a lovely fur and that pin is just awesome! Love it all. Very romantic and cute outfit! !